Hi everyone! This past spring, I decided to take the plunge and buy quality make-up brushes. I also knew that I wanted to keep the brushes in good shape. 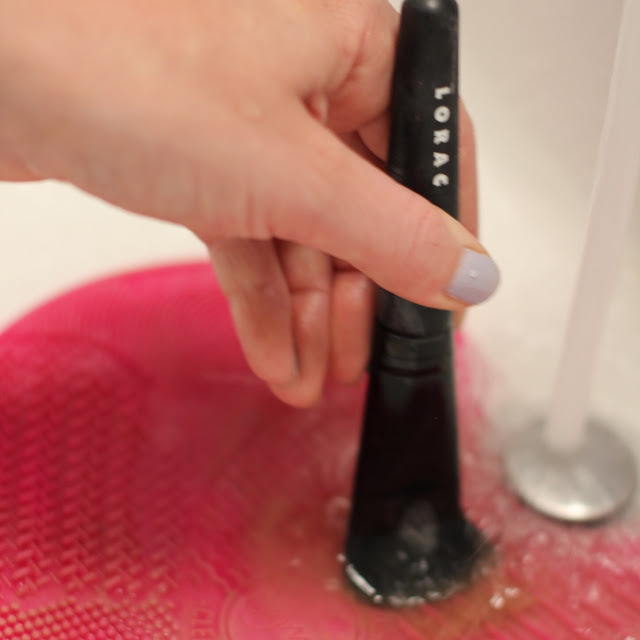 Today I am sharing what I use to keep my brushes clean. 1. 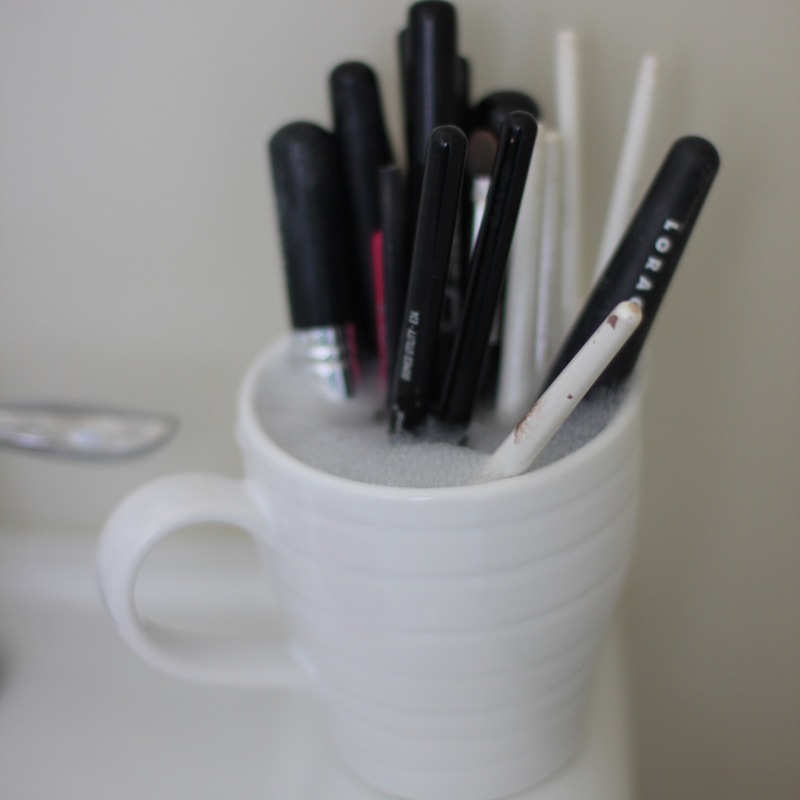 First, I place all my brushes in a mug with a little bit of dish soap. 2. 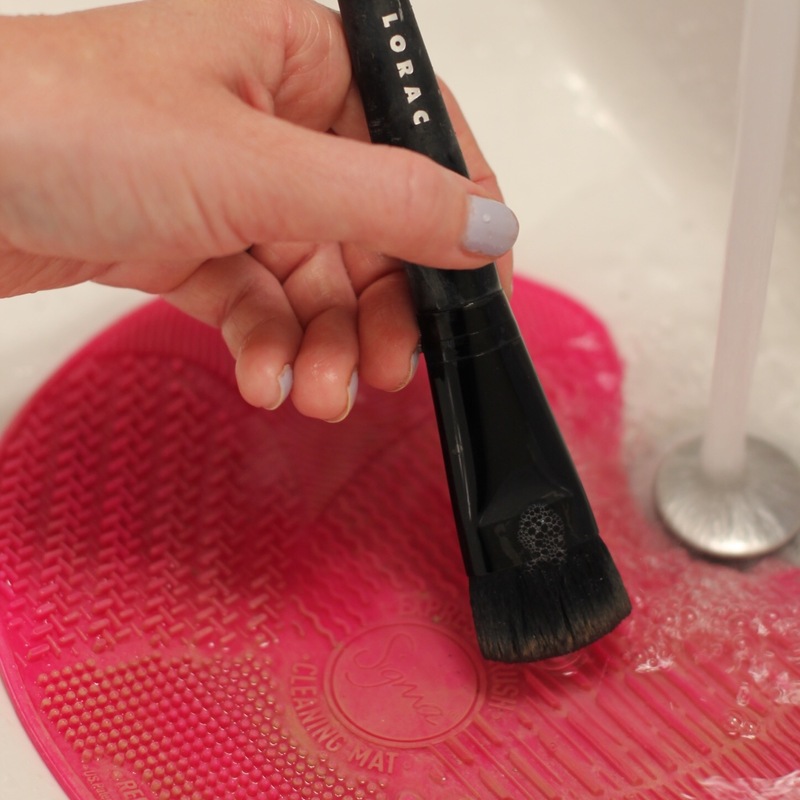 Second, I place my brush clean mat in the sink. 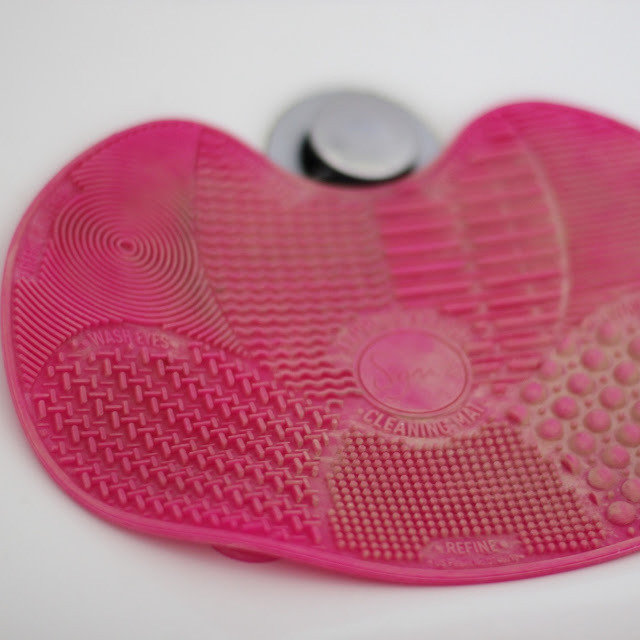 It has suction cups on the bottom so that it does not move. 3. Next, I take a brush out of the mug and turn on the water. The mat has many areas with different textures. 4. I gently use the mat to remove all the make-up from the brush. 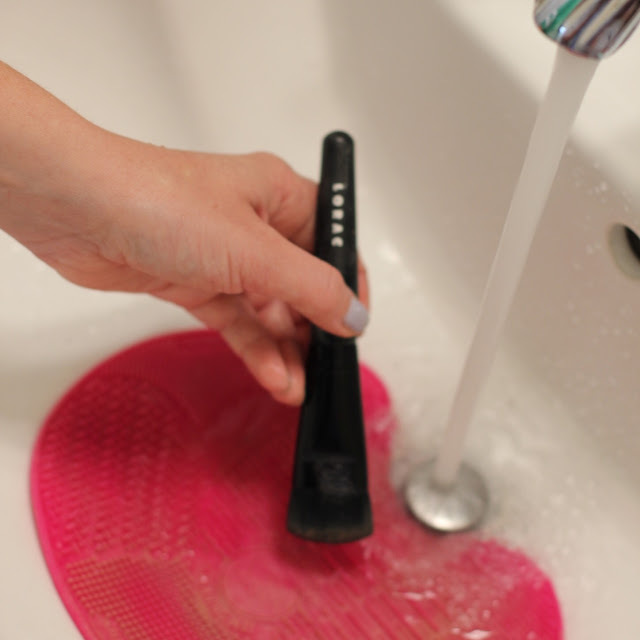 The picture above shows the makeup coming out of the brush. Thanks for sharing! I need one of those mats! Those mats seem really great. I have used baby shampoo for my brushes, but have to remember dish soap for when I run out! I do have a silicone pad for cleaning! Baby shampoo or cleanser!